What if one day God started speaking to you, in ordinary everyday language, and offered to answer every question you asked, but made you promise, in return, to share the details of the experience with others by writing a book about it? That is exactly what happened to me. 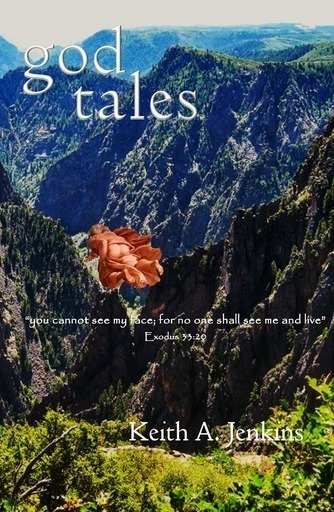 This book is the story of that encounter. If you are reading this, you are about to embark on a journey. As I wrote this first sentence, I mentally ran through a list of all the adjectives I might place in front of the word “journey” (e.g. fabulous, mind-boggling, spiritual, life-changing), but in the end I decided to let the word stand on its own, rather than trying to predetermine what shape your journey might take. I must add three provisos, though, that I hope will help you place this book in its proper context and genre. First, these are not transcriptions of actual talks I had (or think I had) with God. This is not to say that I don’t believe God can, and does, speak to some of us now and then, but only to state that such was not the case in this instance. I believe deeply in God as portrayed in this work, but I do not claim to have received any special revelation, or to be speaking for God in these conversations. Second, this is a work of imaginative fiction, not a work of speculative theology. The primary images I use to describe the nature of God’s self, God’s work, and God’s interaction with the creation grow out of my own theological training and exploration, but they are intended to capture fancy, haunt dreams, and tease minds into further reflection—not to describe that ultimate reality that is beyond words. Finally, many persons of faith may be offended by how I portray God. Some may consider it heretical, or even condemn it blasphemous. The best—and only—response I can make to such objections is simply this: If you are offended by my portrayal of God, this book was not written for you. My goal is to present God in new and appealing ways to those who, for whatever reason, have rejected traditional Christian language and doctrines, or at least feel no connection to them. So, in these pages, I venture well beyond traditional ways of describing God and of explaining the Christian faith. It is my fervent hope that these “conversations” will speak for themselves, that they will ring true for anyone who needs to hear what they have to say. For anyone else, it doesn’t matter. by writing a book about it? This book is the story of that encounter. Dreary, drizzly August mornings are apparently not that uncommon in Buena Vista (or “BV” as the locals call it). Having discovered Bongo Billy’s Café when I first hit town, I sat at a small table in the corner, staring out the window, sipping my first iced latte of the day, trying to decide where the day’s wanderings would take me. It was day three of my “solo spiritual retreat” to Colorado. On day one, I had set out in my rented Jeep Liberty 4x4 to explore St. Elmo and Tin Cup Pass but never made it. I got sidetracked by a steep, narrow county road that provided a great workout for the Jeep—until I reached a major washout at about 10,000 feet and could go no farther. By the time I got back down to the main road, it was too late to tackle Tin Cup. Day two had been relaxing but uneventful, spent mostly at Riverside Park in Salida, about a half hour southeast of BV. Halfway through my iced latte, I hit upon the idea of driving toward the clearest, brightest patch of sky I could see. That meant heading south toward Poncha Springs, then turning west to take US 50 over Monarch Pass. So, that’s what I did. Old Monarch Pass sits 11,375 feet above sea level, southwest of the center of Colorado, on the boundary between the San Isabel and Gunnison National Forests. It’s less than spectacular as Rocky Mountain vistas go and largely untraveled (putting the new highway through in a different location rendered this road utterly superfluous). But since I had come this way on my quest for enlightenment, it seemed silly not to park and get out. The short, stocky, balding peak that forms the south shoulder of the pass rises only a couple of hundred feet above the road, so hiking to the top seemed inevitable. But as I climbed, as if following the stage directions of a third-rate playwright, the clouds began to break apart, revealing patches of blue sky and flashes of sunlight. As if on cue, just the slightest sense of expectation mixed with wonder crept into my mind. Alone on that mountaintop, just sitting quietly on a pile of granite boulders, I let my mind wander. I started thinking about how long those boulders had been there. This was the highest point around, so they couldn’t have rolled down from anywhere higher. And, given their size, I knew nobody had carried them up there. So they must be part of the original ancestral Rockies, primeval metamorphic rock left behind after millions of years of erosion wore away the softer, sedimentary deposits on top of them. I was sitting on boulders that might be half a billion years old. Some of them were almost completely covered with orange lichen, while others sported bright wild flowers peeking out from every crack. The stark contrast between the ancient and the evanescent made me wonder what they might say to me if they could speak. After a while, I began to pray in the way I do when I’m completely alone—talking to God, out loud, using regular language, about whatever is on my mind. And this particular day, my future was on my mind. The past year had been a particularly rough stretch for my school and for me, and I couldn’t help constantly worrying about what I needed to do to make it better. 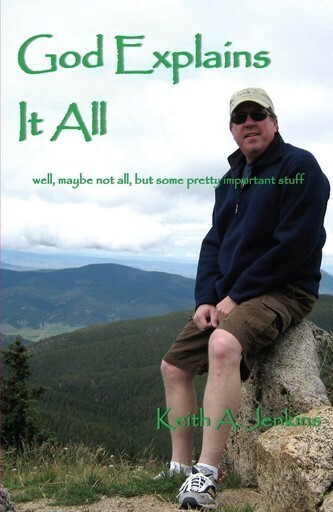 I had taken this trip to get away from the stress of the situation, but here I was on a mountain top, surrounded by the incomparable beauty of the Rocky Mountains, no schedule and no responsibilities, virtually incommunicado, and I couldn’t let it go. Feeling my heart strangely lightened, I got into my Jeep and headed down County Road 237, bound for Taylor Lake Park and, beyond it, Gunnison. I drove with the windows open, enjoying the crisp mountain air, talking out loud to myself, little suspecting the life-changing encounter I was about to have. 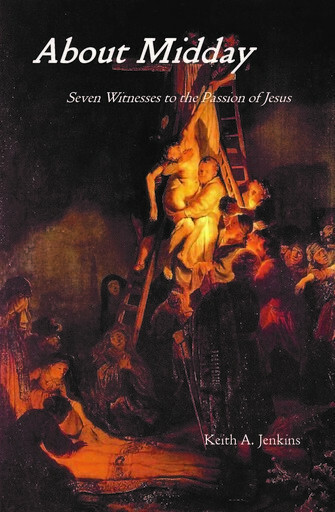 A series of dramatic monologues by seven witnesses the to passion of Jesus: Roman soldier, Barabbas, Judas, Peter, Mary Magdalene, Mary the Mother of Jesus, and Jesus himself.